Yes, there are endless excuses and procrastination activities to keep me away from my first draft. But I'm fighting through. Yesterday I weeded every part of the estate except for the flowerbeds around the pool and still I wrote 2500 words on that messy first draft. Last night I paused long enough to watch the latest Ninja Turtle movie with my youngest son. It was silly and I felt dumber after watching it, but time with my son isn't wasted. And filled in about five hundred more words in the midst of the movie. 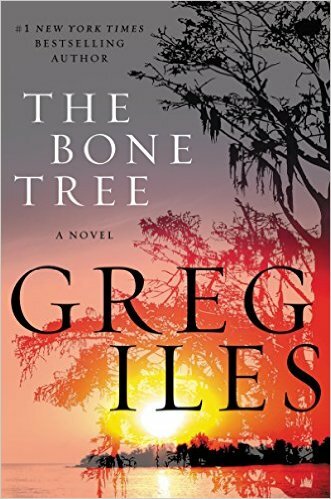 I'm reading a really suspenseful book now, The Bone Tree, sequel to Natchez Burning by Greg Iles. I want to sit with a big cup of coffee until I finish it, but I put it down at page #285 to finish a scene. Then a book I ordered from Amazon arrived in the mail and I've been waiting nearly a year for it to come out. But I didn't open it. I needed a few things at the store but I made it in and out in record time. All the better to get back to writing. 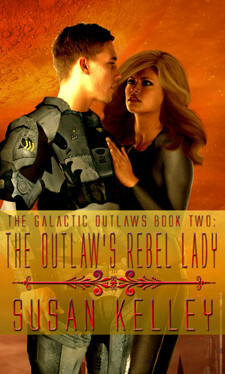 This Friday, I'll be skipping my usual week-ending blog post to spend more time on that WIP. Tomorrow I'll be making homemade bread and salad for dinner, but that will only take me minutes. I'm streamlining the rest of the week so I get some work done. Did you find some good excuses this week? How did you procrastinate and what were you avoiding? Is a good book calling your name? How long does it take you to mow your grass? 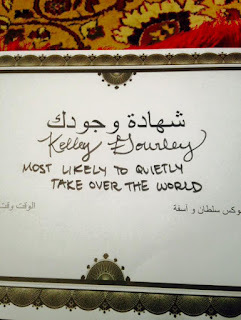 On a side note, my daughter's student group in Oman voted on superlatives for each other. She was unanimous choice as Most Likely to Quietly Take Over the World. That's my girl! My excuses!!!! I ought to change my bank as my present bank have made mistakes, I keep putting it off as (a) I have no one to come with me to start a new bank account and (b) to be pefectly honest when it comes to anything to do with legal things I am THICK and don't fully understand what they are talking about as they speak in legal terms I can't grasp. Quietly take over the world - funny! Actually it's not the turtles that dumbed you down, it was Megan Fox. No excuses for me this week. I've written almost two thousand words! For so many excuses, you've really gotten a lot done! haha yeah Fox can dumb anyone down, first 2 tmnt movies were way better. I am editing away, but still be a be lazy here and there. Oh, I've had good books calling my name, too - loved THE MOUNTAIN STORY by Lori Lansens, and I'm now reading THOSE GIRLS by Chevy Stevens - I'm a big fan of her disturbing and dark stories. I've been avoiding exercise. My excuses are Camp NaNoWriMo and the fact that the humidity is like a wall outside that you smack right into the second you set foot out the door. Sure, there's AC inside the house, but you know, excuses. What a lovely compliment for your daughter! Last night I gave myself a pass on working outside with the theory I would feel more like it today. lol It's a busy life but we do have to carve out time for what is important. That is why I watch wheel of fortune and jeopardy every night. She loves game shows. My mom loves those game shows is what I should have written. what an amazing superlative!! I hope she does quietly take over the world - I have a feeling she'd make it a much better place. thank you for the recs - the two books sound amazing. Your week so far has sound productive, but I know the feeling of it feeling like an excuse to not write. I've been using cleaning and running out for things and blogging as an excuse to not write. That and I haven't been in the best of moods, which really affects my motivation. I've been in Charlotte NC for two days so there's my procrastination. Also, both of my laptops broke and I couldn't write a thing until I saw my cousin in Charlotte who fixed them both gratis. And now here I am, trying to get back to work. Bread and salad sounds delicious. 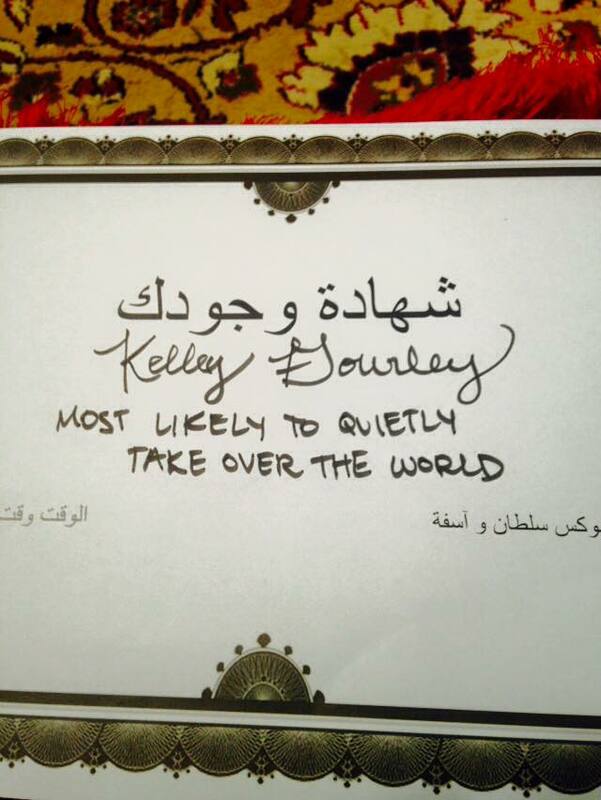 Oh, and Most Likely to Take Over the World is fabulous. Congratulations to your daughter! I hate humidity! It's making me melt. I wish I could jump in the pool with you. I am the Procrastination Queen. That's all you need to know. :p You had great productivity this week! I FINALLY got back to writing. Well more re-writing. I'm gearing up for the SCBWI LA conference in JUST a few weeks and I decided to resurrect my first novel. I changed so much.. MC's name, looks, attitude, supporting characters names and physical appearances. Seems I am just keeping the plots/story line. Hopefully it will be spot on this time. Enjoy your summer time. I looks like you are already! You know what they say: The more you have to do, the more you'll get done. Sometimes it's the biggest amount we have to do that causes us to accomplish the most. I'm in a sadder state than that - I don't even bother making excuses for not doing any writing anymore! No excuses! I've powering through the latest polishing round on my WIP! Keeps me out of that 1000% humidity! Thanks for stopping in. I feel so honored to be Blitzed. I hear you about the humidity! In Arkansas we're reaching temps of 96-97 without the HEAT INDEX, so needless to say indoor activities are high on my list -- which includes outlining and writing! Thank you so much for picking me. It's so strange that I saw a comment from you on another blog and wondered when we were going to do another blitz. You made my day! Lol I'm the opposite. I'll procrastinate by writing, meaning I'll avoid chores to write. It's much more enjoyable for me. ;) Happy Blitz Day! I need to be more like you. Thanks for the blitz, Kelly. And guess what? Happy Blitz Day!! I couldn't figure out why I had so many new comments on my blog. LOL thanks for stopping by this post twice, Alex. Entertaining the little guy isn't procrastination. Thanks for the blitz. I'm the king of procrastination. I try to avoid excuses when I can and flaunt my procrastinating. Bad me. But good you! You're getting blitzed today! Thanks for the blitz, Lee. I know you're in the middle of traveling. You must be a really fast writer. 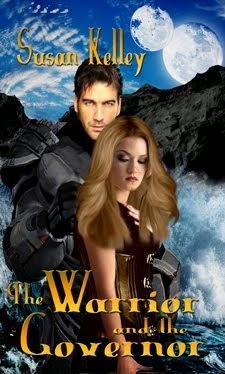 I used that book during the A to Z challenge for one of my posts. It's really good and so in the second. Thanks for the blitz. Sounds like you've been super productive. Getting some time outside is good too. I love the outdoors. Thanks for stopping by. That is one cool award your daughter received. Happy Blitz Day! My daughter is pretty cool. Thanks for stopping by to blitz me. You know I'm procrastinating when I do the dishes. Sounds like you got a lot done though. I love the "Take over the World" award! Perfect! Thanks for the blitz, Heather. I procrastinated by cleaning the house excessively - which is a rare and strange thing for me. And then, I had a day when I planned everything - upcoming vacation minutia, life plans, etc. - anything but my book. I also spent time watching Chuck with my family, and cuddling my dog and cat. And hooray for 'quietly taking over the world' - that's a fun award! Thanks for stopping by today. Hope the doubt went away. 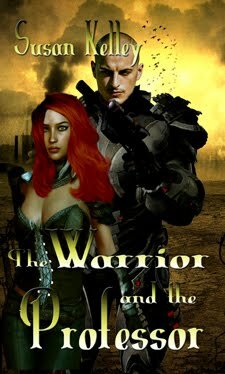 Came back to wish you a nice Friday; hoping you are getting some work done on your WIP and wishing you a Happy Blitz Day! Thanks so much, betty, for stopping by again. Being blitzed is fun. Oh, and happy Blitz day, too!!! I'm a pretty doggone good procrastinator, but I had some good excuses this week, anyway. I've been preparing and baking all kinds of goodies for our grandchildren. We don't get to see them nearly as often as we'd like, so when we do, they always get top billing. You, however, aren't making excuses at all. You're still getting 'er done! Good for you. Sounds like you've perfected an ideal time balancing act. Oh yeah... how ya feeling? A little woozy, maybe? Well, it isn't that heat and humidity. It's because you are getting BLITZED today! Enjoy! Can't wait until I have grandkids to bake for. Thanks for Blitzing me today. Oh boy can I identify with your post! I weeded, mulched, shored up some rocks that surround a tree, weeded some more, ran errands but unlike you, I didn't get much writing in. Thanks, Bish. Sounds like me in the outside work department. Being Blitzed is fun. Love the title bestowed on your daughter - it's quite unique... and charming. 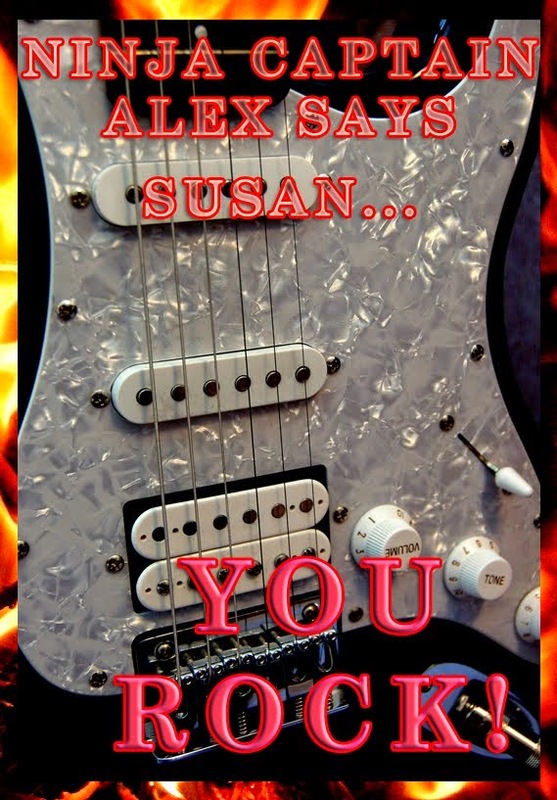 Enjoy the flood of comments coming your way, Susan! Thanks, Michelle. My husband wants us next house to mow-free though I always do it so I don't know why he cares. Thanks for the blitz. Sounds like you've got a lot going on this week and I don't see that you've procrastinated at all. Cute title your daughter won. When she becomes President she can put that on the wall of the Oval Office. :) Happy Blitz Day!! Thanks, Mason. Don't laugh. She might be in the office one day. Thanks for the blitz. What a cool title. I bet someday soon, I will hear of her quietly taking over the world. *snort* Happy Blitz Day. Enjoy. I'm mowing tomorrow. I will swim after too. What a grand reward. Mowing with swimming to follow is the way to beat the heat. Thanks for the blitz. You have some good excuses. Mine always revolve around my kids in one way or another. Happy Blitz Day! My kids are old enough not to be an excuse though sometimes they still are. Thanks for the blitz. LOL. One of our neighbors sometimes mows the grass after dark. We don't complain. Thanks for the blitz. Ah, good books are my favorite distraction! Happy Blitz! Mine too! Thanks, M, for the blitz. I hear you. I find more things that "must" be done before I can write. Procrastination is my middle name! Happy Blitz day! Thanks, Dawn. Those 'musts' get me too. Thanks, Chrys. It's been a great Blitz day. Hope your weekend it a good one. Thanks so much, Tim. It's off to a great start. I've given up on good excuses, but I've got a long list of bad ones. ;-) I have a really bad habit of putting everyone else's work ahead of my own. It makes me an awesome critique partner, but it's just another way of procrastinating. I'm avoiding starting something new while I wait for feedback on my latest draft. If your husband really loves mowing, let me know if he's in my area. Thanks for the blitz, Laura. Procrastination is my best friend. My house is never cleaner and my family never better fed than when I'm on a deadline…. LOL, Kate. Same at this house. Thanks for the blitz. I finished my goal of writing a chapter for this week early! So I"m free. Free to procrastinate until next week anyway. Happy Blitz day! And it takes me about 30 minutes to mow my yard. It's a small one. 30 minutes? Takes me about 2 hours by myself. Thanks for the blitz, Michelle. Thanks for the blitz, Suzanne. Thanks, Sherry, for the blitz day. My middle initial is P! Guess why? Actually, that's not true, but my middle initial should be P. I can think of any number of ways to procrastinate. Here's to your Blitz Day! Don't put off enjoying it. Thanks, Lee, for the blitz visit. Thanks, Suzanne for the blitz visit. It looks like you made some good writing progress! I've usually got excuses NOT to write. Happy Blitz Day! Thanks, Sarah, for blitzing me today. I'm a procrastinator, too. In fact, I'm doing it right now. I hope you are enjoying your book, and being blitzed! Hey, thanks for using the blitz as your procrastination today. I appreciate it. I love "quietly take over the world." And congrats on getting the word count out--it's always so much harder in the summer, even if it's too hot to be outside. Thanks, Connie. My word count always suffers in the summer. Haha, good for your daughter. Looks to me like you've struck a marvelous balance. You're the streamline queen! Thanks, Nicki. I get to get blitzed and be queen. Haha, I'll do the dishes to avoid chores on the phone. Doing the dishes is a big sacrifice. Thanks for the blitz, Marlene. I love this quote-brilliant! When I avoid writing or art-I want to clean and cook?! So, strange...I still have some skeletons in the closet to clean or write about. Thanks, Ella, for being part of my blitz. Cleaning means I really want to procrastinate. I'll pass that on, Emma. My daughter received something like that from her middle school teachers too. That looks like a great read and I like that superlative title. Happy Blitz Day. Thanks, Medeia for the blitz visit. it's been great. Thanks for the blitz visit, Eva. I'll pass your compliment onto my daughter. Thanks for the blitz visit, Barb. I probably have more tips on procrastinating. Happy Blitz Day! How impressive that you work through your excusses. I don't always do that, but I try. I love your daughter's supertalive. I am a weirdo who loves humidity haha, so far this summer's been pretty dry for me in NY! happy blitz! I love humidity too, Beth. Thanks for the blitz visit. Happy Blitz Day! And I'm glad that your excuses didn't really slow you down. Thanks for the blitz visit, Samantha. My excuses are slowing me down some. Happy Blitz day, no excuses!! Thanks for the blitz visit. It's been great. A solid 2+ hours here to mow and trim my beast of a yard. No pool here though. :( Keep working on that draft. Few things feel as good as wrapping up that first draft--no matter how messy it is. About two hours for me too, Jeff, if I can't rope one of the kids into helping. You're so right about that first draft. Thanks for visiting me on blitz day. Ooh girl. You know I am a good procrastinator! Actually the procrastination has been more of the 'i'm sick so I can't write' variety, but yesterday I still got in about 2,500 words! I think tonight I'll sit and write while my husband plays video games. We'll see. I haven't heard of The Bone Tree, I may have to add that to my wish list on Amazon - you can never have too many books! I experienced something similar with a book I've been waiting for (almost a year). I waited, almost two weeks in fact, which might be a record and it became my treat for finishing a final edit! Good luck with your draft. I hope you continue to fit words in around your schedule. Happy Blitz Day. I hope you have a great time! I can even procrastinate procrastination, lol. I avoided writing blog post by finally finishing the two (three) books I've been reading. Got one review posted, will write the second review as soon as I'm finished here. No, I don't normally read 3 at a time: one was a short story anthology, one was a novel I promised a review for, the last is Game of Thrones (it follows real closely the series), and Mr Martin does not need my review. Its cool to sometimes watch something silly. Get out of your own head a bit and remember there is some fun in the world. Best time spent with a little one! I hope you feel free to write this weekend, now that the chores are done and you've gotten a 500 word start. Best wishes. Time with family is never a waste. Happy blitz day! I have been procrastinating editing my first draft this week as well. Can't say it's the weather though, as it's winter here. Happy Blitz Day. Happy Blitz Day for yesterday! For me, it'd be easier to answer what I don't procrastinate doing! Funny superlative your daughter got. I hope when she's supreme ruler of the world that she'll be kind. I'm blitzing a late and a dollar short. Hope you had a great blitz! Despite being in procrastination station, it seems your time has been well spent. Glad you got some words in and had time with your youngest son. Happy very belated blitz! I like the idea of freeing up more time for the wip -- I've got to do this so I can focus on edits!